If you’re looking for a virtually invisible yet highly effective solution to pest bird control, then the AVISHOCK system could be just what you need. Working at all infestation pressures, it provides a humane deterrent that is set to change the face of urban bird management in the UK. While pest bird spikes, nets, and wires all offer a high level of protection against irritating and troublesome birds, they are not always suited to every occasion. They do keep birds away, but they are also visible from a distance, and therefore not the best option for those looking to preserve the appearance of their building. Some buildings may also have unusual architectural features, such as a large number of curves or corners, which make it difficult to use these traditional forms of pest bird control. Now, though, Pest Solutions are delighted to announce a new, innovative approach that can overcome these issues, and provide powerful protection against pests: AVISHOCK. Unlike traditional methods of bird proofing, AVISHOCK doesn’t focus on physically stopping birds from reaching rooftops and ledges, nor does it use sound or optical illusions to scare them off. Instead, it utilises a much cleverer approach. Should birds land on or around the AVISHOCK system, they receive a small, harmless electric shock. While this isn’t enough to cause the bird any injury, it certainly will give them a fright and prove to be unpleasant enough that they no longer want to go anywhere near the source of the shock. Over time, all the pest birds in your area will come to learn that this isn’t a place that they want to roost or nest on, since they will be met with an annoying shock if they do so. Just like an electric fence, the AVISHOCK system is all about modifying the behaviour of pest birds so that they learn not to come anywhere near your property. As well as delivering excellent results, there are also a number of other benefits to using the AVISHOCK electric pest bird deterrent system. As we mentioned earlier, there are some buildings where the use of nets or spikes is simply out of the question. With the AVISHOCK system, though, you can equip any property with the highest level of pest bird protection. The system itself is made up of two thin strips of metal, which give off a low-level electrical pulse every couple of seconds. 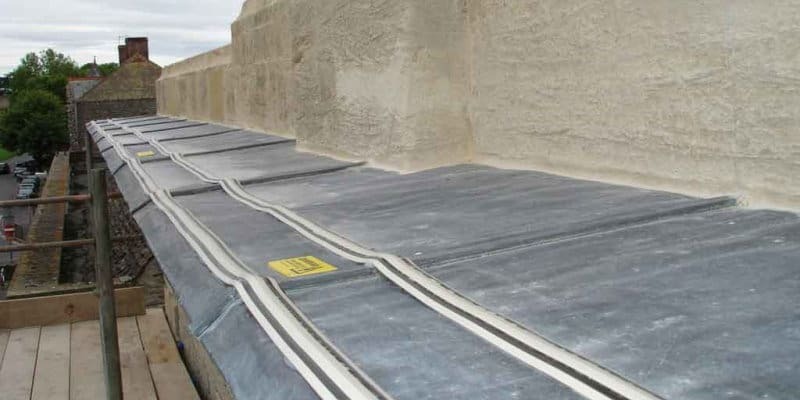 AVISHOCK can therefore be installed on even the most unusually shaped buildings, as it is fixed directly to the wall, ledge, or roof in a single long strip. It is virtually invisible at a distance, so it won’t spoil the appearance of your building. In fact, no one will know it is even there- that is, no one except the pest birds who try to roost there. Pest Solutions are experts in pest bird control and provide a high-quality service across all areas throughout the UK. Not only can we professionally install the AVISHOCK electric pest bird deterrent system for you, but we can also provide a range of additional pest bird control solutions in a unique, tailored package. That way, you can be sure that every inch of your property is protected from pest birds, and you won’t have to deal with the irritating consequences that come with an infestation of pigeons or gulls. All of our pest bird control specialists are experts in their field and possess all the qualifications needed to carry out a stellar job every time. They all have IPAF and PASMA certification which means that are safely able to work at great heights to install your bird pest control equipment exactly where you need it. Get Rid of That Pest Today- Call Pest Solutions! Whatever you need from your pest control, you can be certain that Pest Solutions can provide just what you are looking for. In fact, we’ll gladly come and visit your property to carry out a FREE survey, to help us choose the ideal approach to meet your unique requirements. For all aspects of pest bird control and bird deterrent systems simply call Pest Solutions on 0800 027 2555 to arrange a FREE survey or a service call out. Our professional and discrete technicians are ready to help you keep your building free from pest birds for good. Alternatively, click here to find the details of your local Pest Solutions branch.